Once upon a time, long ago in the old Italian countryside, way before Marco Polo began his travels that introduced the tomato to Italy, the ancient Italians ate what we call white pizza (no red sauce). They would spread oil over their crusty Italian bread, add fresh garlic and mozzarella cheese and then bake. 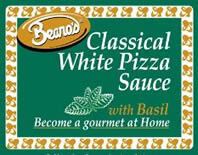 Beano's captures that old Italian countryside taste with 100% pure soybean oil, imported oregano and traditional Italian spices for an authentic tasting white pizza. This non-separating blend does not need to be shaken during use! 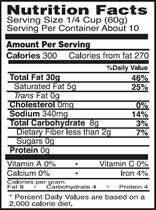 Ingredients: Soybean oil, water, oregano, natural flavor, spices, xanthan gum, sodium benzoate, potassium sorbate.